The appetizers on the menu are as varied as the customers. The full selection presents grilled sweetbreads, flanken short rib, meat chili, burger sliders, chicken poppers, avocado egg rolls, garlic bread, pulled brisket empanadas, pastrami egg rolls, house-battered onion rings and sausage plate. This beautiful restaurant offers salads like Seared Tuna Salad, Grilled Salmon, Fuego salad, Cesar salad, Fuego Latino salad, salmon, tuna or meat Cesar salad. For small plates, dinner consists of pulled beef tacos trio, Tuna Tartar, pulled BBQ brisket tacos trio, shishito peppers, beef tartar, marinated olives, beef carpaccio, and seared tuna tacos. Fuego prepares their flatbreads from the following: crispy pastrami, pulled beef, seared tuna, Fuego and BBQ pulled beef. These flatbreads are either topped with caramelized or pickled onions, roasted corn or mango salsa, roasted cherry tomatoes, cilantro aioli, chipotle or Pico de gallo. The delicious Fuego burger, Godzilla burger, bolt burger, bbq pulled brisket burger, are usually served with roasted tomatoes, caramelized onions, mild poblano peppers, roasted garlic aioli, lettuce, bbq sauce, and pickles. The new Fuego restaurant serves their sandwiches on their ciabatta bread. Different sandwiches have different ingredients either dipped in or topped on them. The sandwiches they offer include BBQ pulled brisket sandwich, Rib Eye sandwich, Merguez sandwich, Fuego rub roast beef sandwich, Chipotle rub chicken breast sandwich and Cilantro Garlic dark chicken sandwich. The Kosher Restaurant offers a variety of sides like black beans, yucca fries, french fries, sweet potato fries, basmati rice, rice and beans, steamed yucca, sweet plantains, coleslaw, roasted corn, house batter onion rings, side salad, roasted garlic mashed potatoes and grilled vegetable skewers. 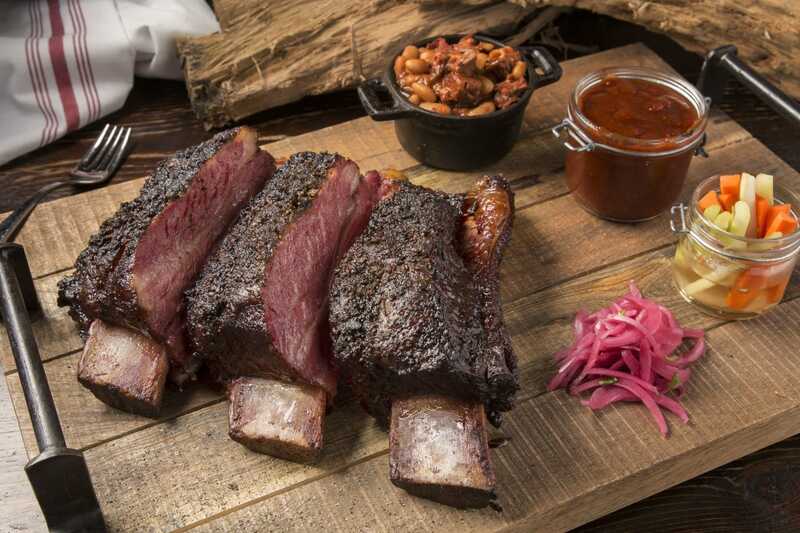 The entrees consist of rib eye, cowboy steak, flat iron steak, Fuego reserve cut, center cut, pastrami wrapped center cut, T-Rex rib, chef platter, Argentinian churrasco, Fuego BBQ back ribs and Pabellon Criollo. Fuego offers unique fruit based signature cocktails. These are Georgia Julep, Miami Mule, Beachy Lychee, Old Fashion, Perfect Date, Express Yoself, Gold Rush, Jazz n’Bazz, Jalapeno Business, Pompom, FUEGO Martini, Lychee Cap, Fuego Bianco, Tormentor Tropical, Fuego Rojo, Passion Fruit Mojito and Lychee Mojito. With all the delicacies Kosher Restaurant offers, it has something for everyone. One can confidently and conveniently sat that kosher restaurant is a one-stop restaurant that can offer you breakfast, lunch, dinner and refreshments, thanks to their out-of-this-world cocktails. You can visit Fuego as an individual or go with a friend or even family. Lovers can also drop by for a bite of Tuna steak. To get to enjoy the best Tuna steak in Miami, you can make reservations by calling them on the phone.